As you guys know, the last half of my family's summer was pretty intense. Among the general craziness of everyday life with which we all have to deal, my husband was on the road nonstop for work, our daughter Essley was starting preschool for the first time, and biggest of all, our baby Emmett was diagnosed with an illness that resulted in two different hospital stays and endless doctor appointments, specialist appointments, and test appointments all over the city and suburbs. August and September felt like we were running a marathon that veered off in countless directions and never had a finish line. So when fall arrived and we gradually adapted to our new normal, we were able to exhale and be reminded of the grand significance of enjoying simple moments together right now. One of my greatest parental worries recently (among the 78,346 other worries that float through my head on the regs because, duh, I'm a parent) was how the late summer intensity I described above might have affected Essley, our 2.5 year old. In addition to the massively unstable schedule that so suddenly came about when Emmett got sick, she was also attending school for the first time, had just started her first without-a-parent ballet lessons, was potty training, and there were constant out of town visitors. When things slowed down and the more comfort-focused energy of autumn took over, I vowed to do special things with her that celebrated the season. And so far, when it comes to crushing fall as a family, I have to say, I think we've done pretty freaking well. We've visited all sorts of pumpkin patches and apple orchards, gone on "leaf hunts," created all sorts of fall crafts, and shopped for fall school clothes and Halloween costumes together. 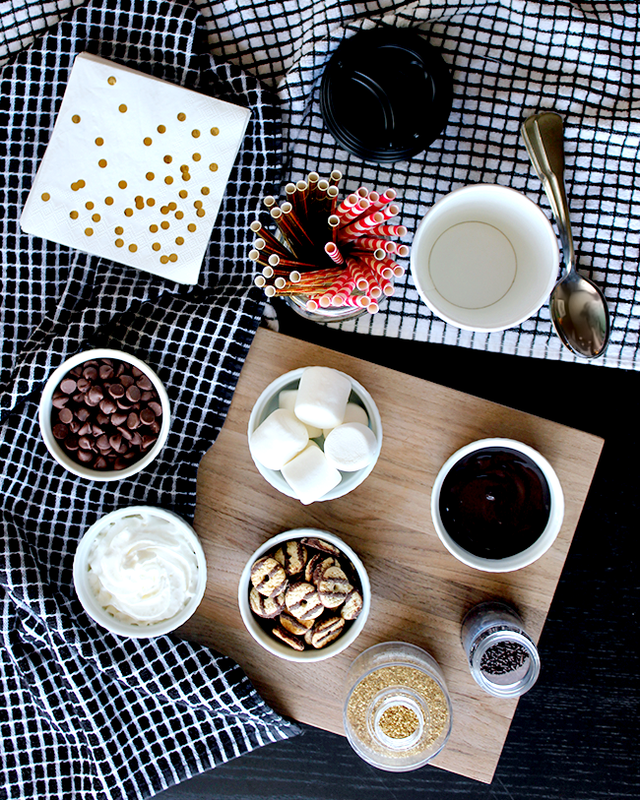 But the fall activity that Essley seemed to enjoy the most, the one that she hasn't stopped talking about, the one I feel like we really crushed, was the DIY hot chocolate bar that we created (and enjoyed) together. And that's what I'm sharing with you guys today. You can obviously add or remove toppings to suit your tastes as well. Essley and I picked these out together, which was both fun and ridiculously cute. She was not pleased that I vetoed her first topping selection (I'm just not sure how well a 12 inch tall gummy bear would have paired with a cup of hot cocoa), but that passed in an instant because girlfriend was excited beyond belief to get to fill a shopping cart with so many different kinds of sweets in one trip. The act of creating the "bar" was probably the most enjoyable part of all (beyond actually drinking the sweet goodness, but that goes without saying). Essley and I took our time filling ramekins with different toppings and arranging them on the dining room table. 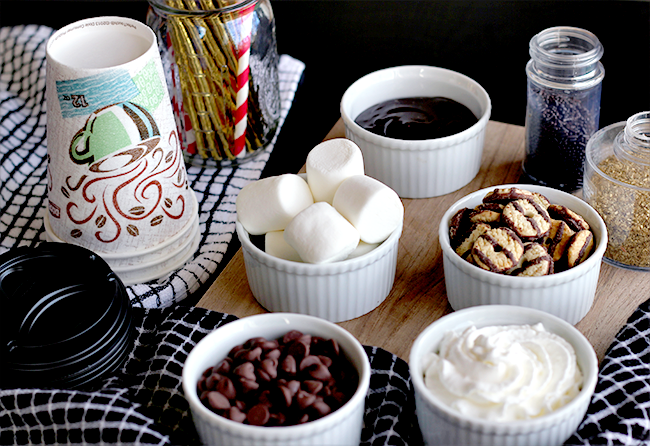 Then we whipped up a batch of hot chocolate (and yes, it was instant, because I am human, and I have 2 kids under 3, and I am acutely aware of my creative limits), poured them into Dixie® To Go cups, and as soon as we showed off our pretty spread to daddy and little brother, got to topping. My husband got involved too (because treats! 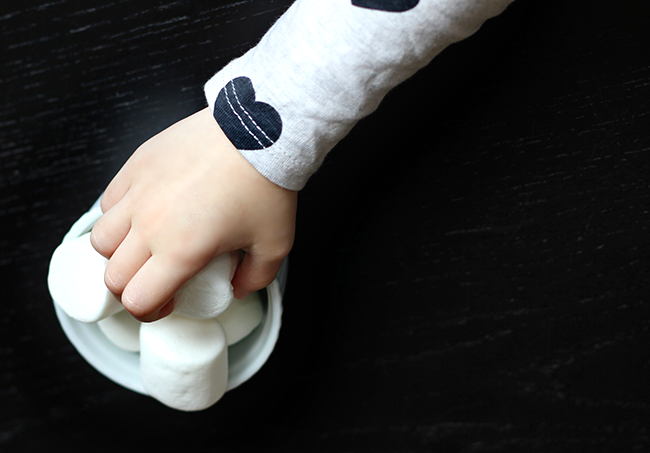 ), and I'm pretty sure I saw Emmett give us an envious look that seemed to say "when I'm old enough to consume more than breastmilk, mushy finger foods, and infant puffs that taste like cardboard, I will get you people back for excluding me, mark my words." The cherry (or maybe I should say whipped cream/marshmallows/etc.) on top (get it? get it?) 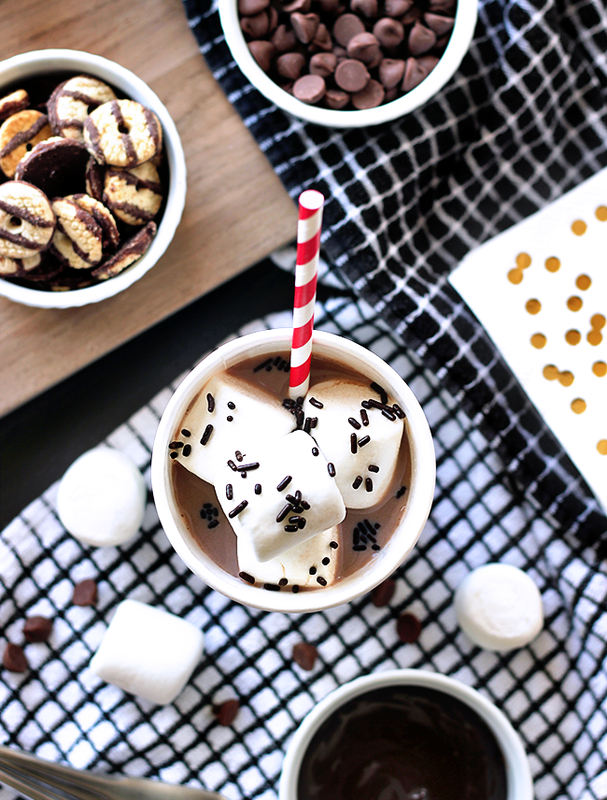 was that because we used Dixie® To Go cups, we were able to head right out the door from our little party, with our hot chocolates in hand, to our favorite pumpkin patch to grab some pumpkins to carve that evening. 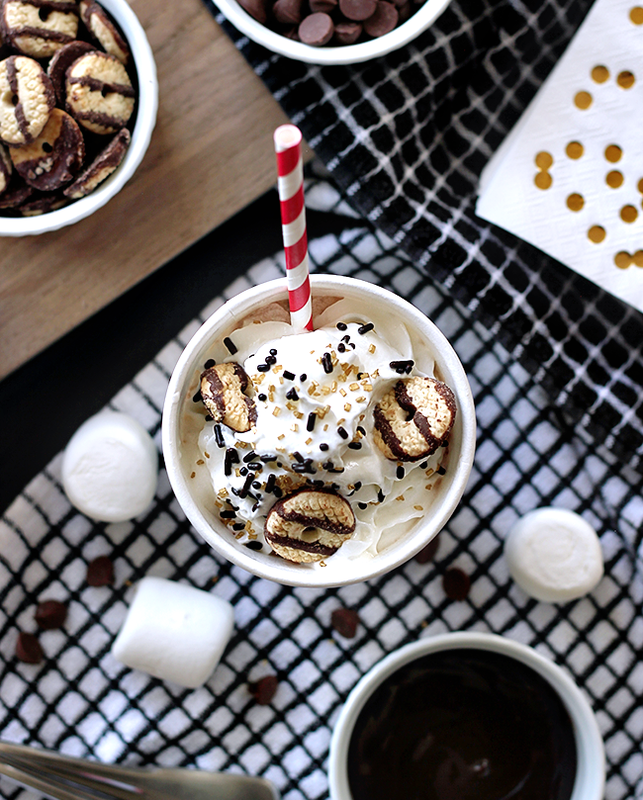 Talk about crushing fall in one fell swoop! 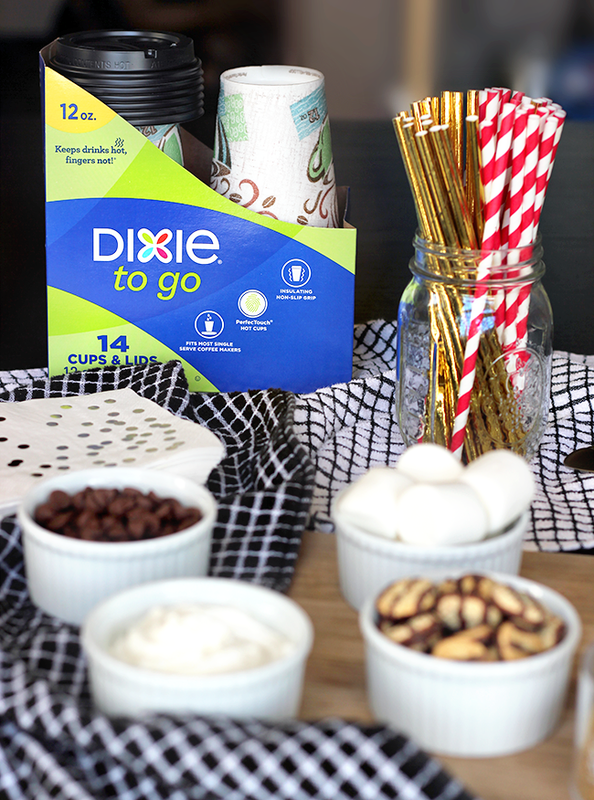 I've talked about Dixie® To Go cups and why I love them before, but I have to give them another shout out today because they really do make life easier. All we had to do before we headed out was toss the leftover toppings in storage bags, put the leak-resistant lids on our cups, and go. There was no effort, no cleaning up of dirty mugs left in the car, no worries. Which left us with more time to focus on things that matter. 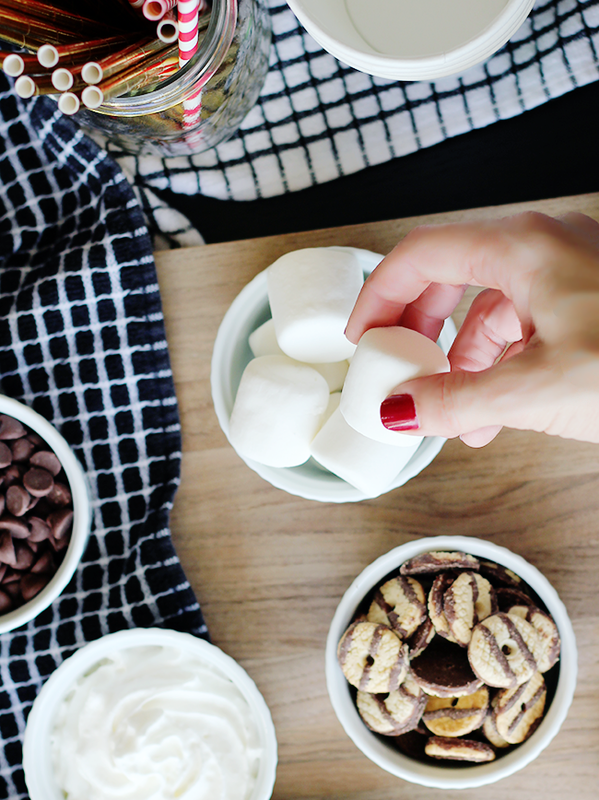 The cups' insulated layers kept our hot chocolates hot, which gave us the best on-the-go experience. When we were done drinking them, we threw them in the recycling bin at the pumpkin farm and enjoyed the rest of our afternoon. Full on autumn success you guys. And because reusing disposable items whoever possible is important to me, I love keeping these cups in my car when we're done with them to use as mini "trash cans." Taking time together as a family to enjoy the season has been genuinely wonderful, and I think the challenges we faced at the end of the summer has allowed me to truly appreciate every moment of it. And hey, when you're a frazzled parent (or just human being in general) who often feels like looking down to see you're wearing two of the same shoes is an accomplishment worthy of a high five in the mirror, it feels pretty great to find ways to crush small moments. I'm looking forward to a lot more of them in the coming weeks as well. 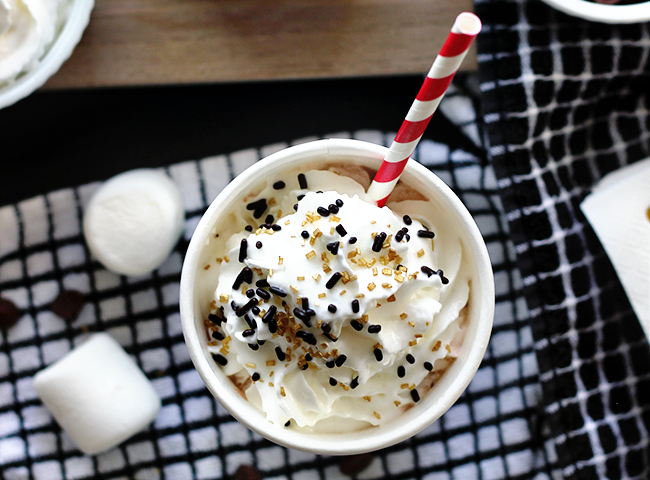 Now I'm craving hot chocolate! Yum! I really need to grab some of those cups! 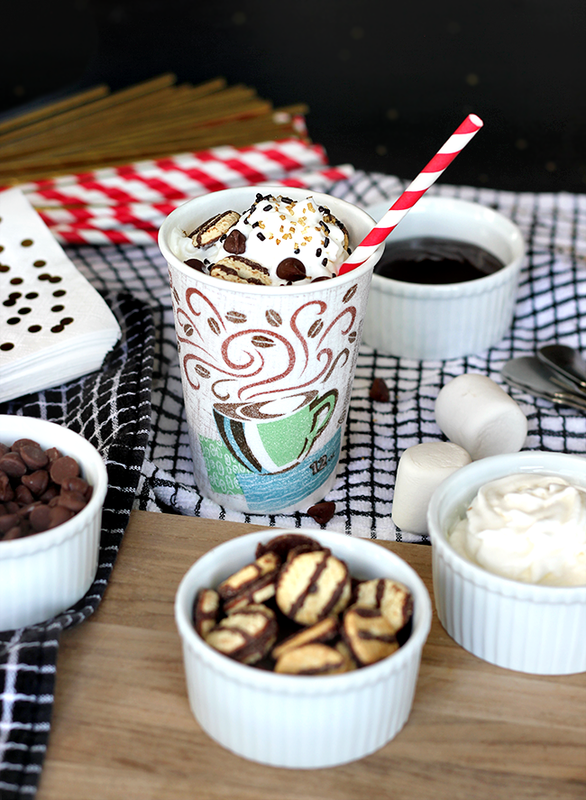 Prettiest hot chocolate set-up I've ever seen.